Babs Manufacturing Corporation 1917-1921 - a Philadelphia doll manufacturer, made a line of mesh with flexible steel spring joint bodies, wooden limbs and composition head dolls. 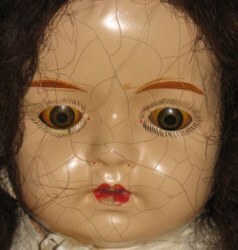 The Babs doll is a non mechanical walking doll, distributed by International Doll Corporation, that appears to be the same as the Harry H. Coleman, Dolly Walker doll made for them by Wood Toy Company and Manhattan Doll Company walking dolls. 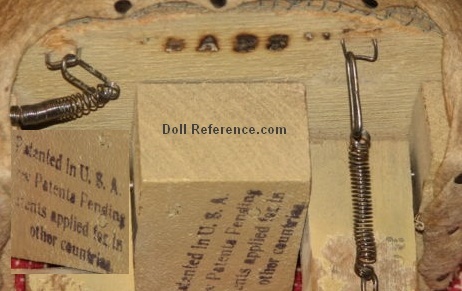 All these dolls bear the same patent number 1,221,870 dated April 10, 1917. Babs, Patented in U.S.A. Other Patents Pending Patents applied for In other countries.